OneSpan enables financial institutions and other organizations to succeed by making bold advances in their digital transformation. We do this by establishing trust in people’s identities, the devices they use, and the transactions that shape their lives. We believe that this is the foundation of enhanced business enablement and growth. More than 10,000 customers, including over half of the top 100 global banks, rely on OneSpan solutions to protect their most important relationships and business processes. 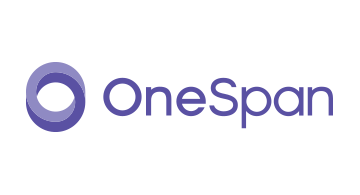 From digital onboarding to fraud mitigation to workflow management, OneSpan’s unified, open platform reduces costs, accelerates customer acquisition, and increases customer satisfaction.Learn more about OneSpan at OneSpan.com and on Twitter, LinkedIn and Facebook.